I like good weather, I missed it! What a long winter! 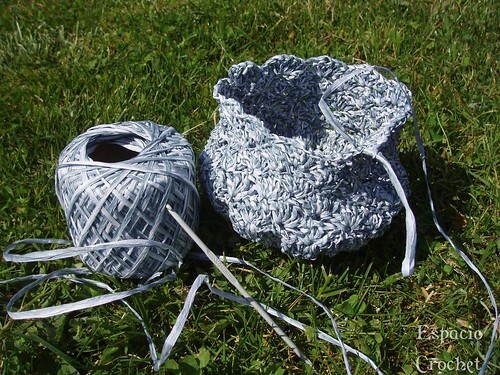 And I love crocheting outdoors! Now I am making an odd bag. 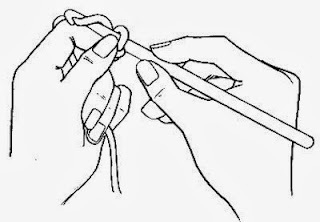 The thread, or wool, (I don´t know how to call it), is paper! 100% cellulose (paper). When I read it, I thougth that I shouldn't use it when it exists the minimum possibility of raining. It could be a weird show to see how my bag disappears... After, I read that it can be washed in the washing machine! :D I'm following a pattern and I had problems because it's wrong and I think my bag is a little different from magazine picture... I don't know how the result will be! 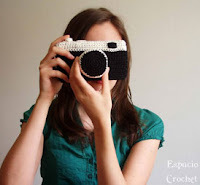 Escrito por Espacio Crochet a las 9:07 p. m.
q super guapa tu Blythe!!!! como se llama esa preciosidad??? que interesante lo que nos cuentas de este hilo! ya nos enseñarás el resultado final! Maruxi se llama, jiji. Nombre poco común para un Blythe.